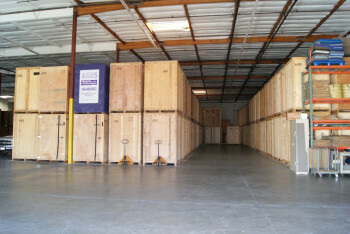 We provide a wide array of flexible, cost-effective household storage options. We provide the residents in New Orleans and throughout Louisiana with secure storage for their household goods in our 30,000 square foot facility. Our facility features fire and theft protection systems, 24-hour camera surveillance, and climate-controlled storage space for a safe, ideal environment for your goods. So, whether you need to store your patio furniture for the winter, the kids' old clothes, or your excess furniture to make your home more appealing for sale, we can handle any size and scope storage need. As New Orleans movers, we can arrange for the pickup or delivery of your household goods, based on your needs. We will pad wrap your items and store them in large wooden vaults that will protect your belongings and keep them separate from other people's shipments. Our inventory management system tracks your goods while in our facility to ensure their security and expedite the process of picking and delivery and/or pickup of your goods. 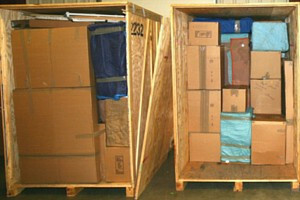 We can provide storage-in-transit or permanent storage based on your exact needs.